For the next seven days, take a trip back to when Deathwing ruled the skies over Azeroth, it’s time to delve back into the dungeons of Cataclysm! This week, you’ll be matched up with other players and sent to one of the following Heroic dungeons: End Time, Grim Batol, The Stonecore, Lost City of Tol’vir, The Vortex Pinnacle and Throne of the Tides. Your character and items will be scaled down to a power level fitting for the challenge at hand, but bosses will yield loot appropriate for your natural level. 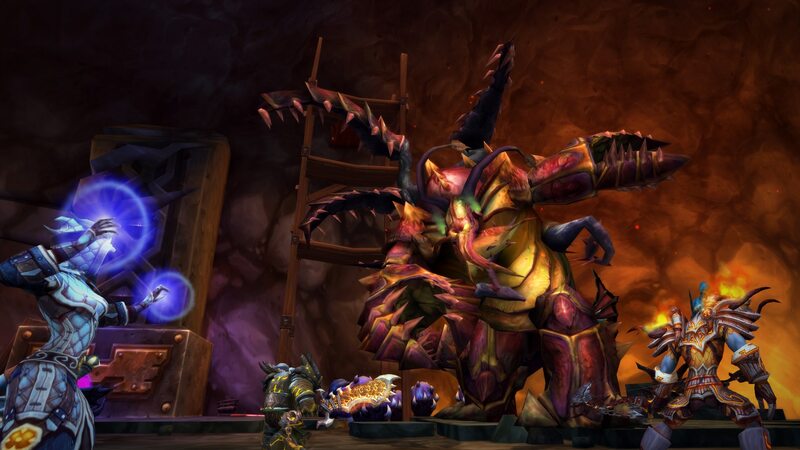 Timewalking dungeons also have a chance to drop items that usually drop when you run them on Heroic, and you’ll earn reputation with a faction that is interested in the dungeon. Complete 5 Timewalking dungeons, you will get Artifact Power and one loot box containing a piece of gear from Normal difficulty Uldir! Join World of Warcraft now ! – World of Warcraft Official Website.